Discover this spectacular lake and surrounding landscape by canoe. 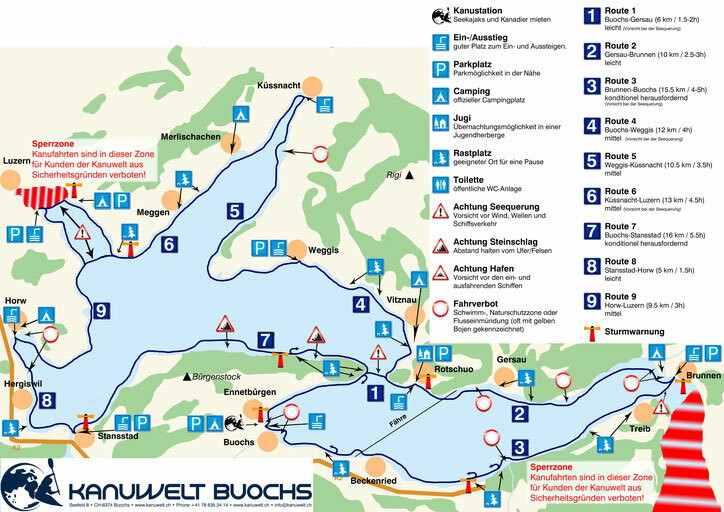 Starting at the canoe station in Buochs , a variety of routes ideal for adventure-rich canoe vacations and exciting day tours have been developed. At the canoe station Buochs (near the campground), kayaks and canoes can be rented. The guest receives a map showing the routes and containing other important information such as notes regarding safety and environmental protection. The offers address the ambitious sports enthusiasts and adventures as well as families and other canoeists who want to enjoy a leisurely tour.